A natural coconut fibre dish brush, chemical free, naturally anti-bacterial, biodegradable, and free from micro plastics. 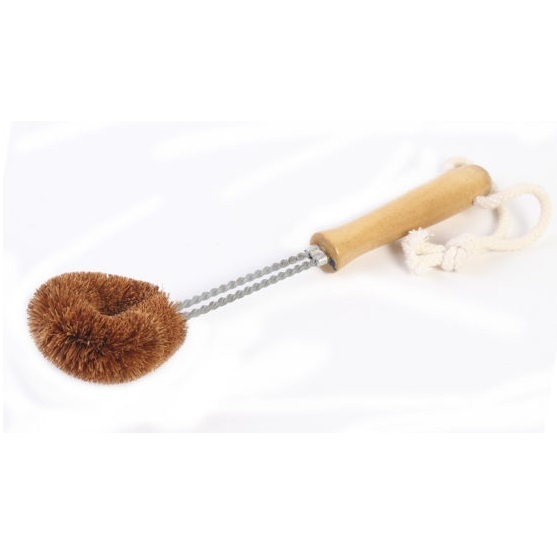 Eco Max Dish Brush is handmade from natural unbleached coconut fibre, a sustainable vegetable fibre from the husk of the mature coconut. Coconut fibre has a natural anti-bacterial property so won’t become smelly or mouldy, is chemical free, long lasting and has no micro plastics so doesn’t pollute our waterways. Approx 25cm long. Eco Max Brushes are Vegan, Fair Trade and biodegradable.